Pressure Transmitters: These transmitters are known to increase plant productivity by providing stable performance and accurate results throughout their life cycle. We provide differential, gauge, and absolute pressure transmitters for the process industry. Temperature Transmitters: These transmitters fulfill a vast range of temperature measurement needs in the process industry. Rosemount temperature transmitters provide reliable and stable outputs when employed for control, safety, and monitoring applications. The temperature transmitters from Rosemount is ideal for Engineering Procurement Construction (EPC), Original Equipment Manufacturers (OEM), chemical process industry contractors and more. Level Transmitters: In process industries, level measurement is very important. Inaccurate measurements may lead to various safety related issues, environmental problems, pumping issues in the plant, and bring several financial losses too. Rosemount level transmitters are non-contact transmitters, which can be top-mounted in wet wells, closed, and open tanks. These transmitters are ideal for flow measurement in open channels, and are unaffected by fluid properties such as liquid surface, viscosity, density, etc. The level transmitters are ideal for hazardous area applications. Wireless Transmitters: Rosemount wireless transmitters are empowered with wireless HART protocol, and provide accurate level, pressure, and flow measurements. These transmitters can detect malfunctions of equipment, and help reduce equipment failures. Also, the wireless transmitters help reduce Total Cost of Operation (TCO) of your plant. Multivariable Transmitters: Flow measurement is key to several process industries. Rosemount transmitters provide flow calculations as well as three process measurements, including differential and static pressure, and temperature. The multivariable transmitters can be used for applications that require mass, volumetric, energy, and totalized flow measurements. Electronic Pressure Transmitters: These pressure transmitters are used for pressure recording in fluid media systems. The Foxboro brand models IGP10, IDP10, and IGP20 are available. These two-wire transmitters with electronic output deliver accurate and precise measurement of differential, or gauge pressure. These transmitters can transmit a 4 -20 mA output signal. Pneumatic Pressure Transmitters: These transmitters are designed to measure a wide range of temperatures, as well as gauge, and differential pressures. The measurement is then transmitted in proportional pneumatic signals to remote receivers. Foxboro models 11GM, 11AM, 12A, 15A, 13A, 43AP, and 13HA are used in process industries. All these transmitters provide accurate measurements, and are easy to maintain. Temperature Pressure Transmitters: Foxboro models RTT20 and RTT15 are microprocessor based, two-wire transmitters that are used to convert various mV and ohm sensors into linear 4-20mA output. These transmitters are compatible with Profibus digital, HART, or Foundation Fieldbus protocol. These transmitters are protected with weatherproof and explosion proof housings. Superior sensor packaging with few parts. LCD with on-board push button and calibration. Transmitters made from Hastelloy sensor, 316Lss, and Co-Ni-Cr materials. Integral connections for pulp/paper and sanitary installations with IGP10. CE Marked; compliance with applicable ATEX, PED, and EMC directives. The following benefits of Foxboro pressure transmitters make them desirable for process industries. The following benefits make these pressure and temperature transmitters popular with our process industry clients. Reliable Performance: The transmitters provide optimum performance under dynamic process conditions. Performance accuracy and fast response times help reduce up to 50% in calibration costs. Modular Design: The modular design allows quick parts replacement without stopping the process, or taking out the transmitter out of the process equipment. This helps reduce downtime, minimize maintenance costs, and need to maintain an inventory of spare parts. The polarity insensitivity is another advantage of the transmitter design. It helps reduce mechanical wiring issues, and polarity conflicts. User-friendly Interface: Innovative user-friendly interface helps reduce operator errors by 10% as well as process downtimes by 5%. The graphical display allows a plant operator to understand the state of the process, receive alerts, and more. The advanced display supports troubleshooting with 24-hour trend visibility. There is a diagnostic summary view, which aids in early and easy problem detection. The external three button configuration interface helps easy local configuration. Hence, there is no need to carry handheld devices for a setup. Advanced Diagnostics: The Smartline transmitters are equipped with a variety of diagnostic features, which help ensure safety of the process. The transmitters support tamper reporting as well as transmitter messaging. Transmitter Messaging: This helps reduce the need for two or more people for point wise verification. This feature helps avoid unit trips, as well as additional communication between field technicians and plant operators. Tamper Reporting: This helps monitor any tampering done to the equipment. The advanced diagnostics allow plant operators to figure out unauthorized configuration changes attempted on the equipment. KM9 Block and Bleed Valve: These valves with rugged construction are compact, economical, and available in soft seat as well as metal versions. KM251 2-Valves: These are 2-valve, single outlet valves, which are used for gauge isolation. These valves are also used for venting, and calibration operations. Available with a standard as well as high – temperature and pressure bonnets. Kerotest KMC5G 5-Valve Integral Manifold: These five-valve manifolds can be used with Rosemount transmitters 3051P, 3051C, 2024, and 3095 Multivariable transmitters. These manifolds are used for power plant applications. Kerotest KM1 and Kerotest KM110 3-Valve Differential Pressure Manifolds: These manifolds are designed for applications where direct mounting is not possible. These 3-valve manifolds are used in combination with recording orifice meters, and differential pressure indicators. These manifolds can be designed with soft or metal seats. Kerotest KM4A 3-Valve Differential Pressure Manifolds:These manifolds are designed for remote, or direct mounting to 54 mm differential pressure transmitters. It features an equalizing valve and two main valves. Kerotest KMM4A 3-Valve Differential Pressure Manifolds: These manifolds are low-cost alternatives to 3- fold, full-sized manifolds. The KMM4A manifolds can be direct, close, or remote mounted. Kerotest KM6A 5-Valve Natural Gas Manifolds: The KM6A 5- valve natural gas manifolds are designed for natural gas applications. These manifolds are mounted in the tubing from the orifice flange. The Kerotest Manifold products are built to perform under high pressures. Every model provided by TTS possess features that will drive value for your applications. Space Saving Design: The space saving compact design makes these manifolds ideal for a variety of complex industrial applications. This design helps utilize space efficiently, and reduces installation costs. Zero Stem Blowouts: : The stem at the backseat helps prevent problems caused by blowouts. Improved Valve Life: The bonnet caps help increase valve life, and maintain the durability of stem threads. Also, the metal-to-metal seal between the body and bonnet prevents bonnet breakage, and assures reliable sealing. Reduced Corrosion: The O-rings stem seal helps reduce corrosion of stem threads. Long Service Life:Isolated stem threads separate process fluids, and ensure leak-proof operation and long service life. Easy Mounting: Kerotest manifolds feature direct-to-pipe stand mounting, which allows complete loop installation without disturbing the instrument, or transmitter. Money and Labor Savers:One valve performs multiple tasks, and helps save on labor, and money. 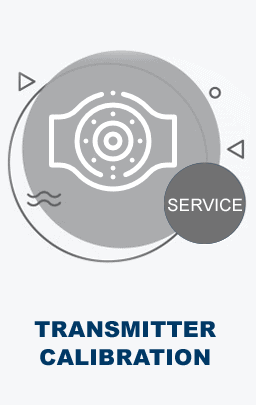 Discount pricing, quality products, large inventory availability for quick shipment and a two-year warranty are the fundamental offerings of The Transmitter Shop's unique service. As a distributor, TTS focuses on providing complete services related to seal, transmitter, and valve products. Customers can choose from new surplus, factory new, and reconditioned transmitters. We provide various types of remote seal pressure transmitters for electric industrial applications. The control valves allow for accurate setup and adjustment of industrial processes. We also provide transmitter calibration and repair services for all three products. All industrial measurement and sealing products provide by TTS are available at discounted prices. We have a large inventory of products to ensure that we can always meet our clients’ requirements. 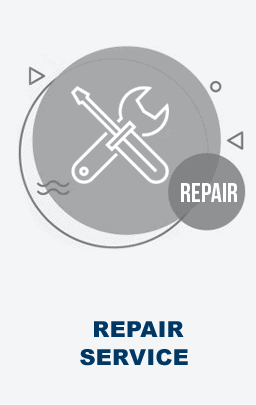 Also, all of our products are offered with two year warranties. An array of quality products, quick delivery processes, warranty and repair services supports are some of the unique aspects that make TTS the leader in industrial instruments and sealing products. The Transmitter Shop (TTS) is a 32 year old organization, which specializes in providing industrial instruments, and sealing products. Since 1984, we have been supplying products to some of the largest companies across the globe. We have one of the largest inventories in America, and help meet our customers’ requirements with ready-to-ship quality products of the best brands. TTS serves its customers with experienced and knowledgeable staff, technicians, quality agents, and superior customer service. I must say that I found Joe and Brian a pleasure to work with. Easily the best two consultants I have worked with in instrumentation in the last 10 years. Sure feels great when everything comes together on such short notice! Excellent job and very professional follow through. Just a quick note to say thank you for the outstanding job you did. Your team demonstrated a professional and polite attitude and we are very pleased with the product. We will definitely use you in the future.